Last week, Autodesk hosted opening day for the TechWomen emerging leaders program. I had the opportunity to be a part of it and want to share the work of the organization and my experience in today's Feel Good Friday. 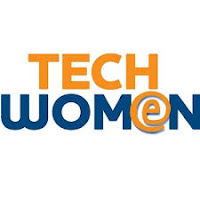 As explained on their website, "TechWomen empowers, connects and supports the next generation of women leaders in science, technology, engineering and mathematics (STEM) from Africa, Central and South Asia, and the Middle East by providing them the access and opportunity needed to advance their careers, pursue their dreams, and inspire women and girls in their communities." You can watch this video for a good overview of the program. An initiative of the U.S. Department of State's Bureau of Educational and Cultural Affairs, the first program took place in 2001 with 37 women participating. This year's group includes 100 women from 20 different countries. The women will participate in project-based mentorships at Bay Area companies, attend professional development workshops and networking events and wrap up the five-week program in Washington D.C. During their time in the Bay Area, they'll also have a cultural mentor who will take them to local attractions, cultural events and community service opportunities. The women I met last Friday came from a variety of countries and worked in different STEM fields. When I asked one woman what she thought of her day at Autodesk, she said she felt "like Alice in Wonderland". I also met a woman from Kyrgyzstan who was shocked when I told her I had been to her country and was able to have a very short exchange with her in Krygyz. All the women will return to their countries when the program is finished to share what they've learned and start projects of their own. You can click this interactive map to see how participants from previous years are affecting positive change in their communities. If you like what TechWomen is doing, there are many ways to get involved. You can become a mentor, convince your company to host an event or show your support by liking their Facebook page and following them on Twitter @TechWomen.